A private law firm with one practice area: Florida Real Estate Law. Lawyers can do everything that real estate sellers' brokers can do — but they do it using years of legal experience and an unparalleled dedication to their clients' best interests. Short sales and strategic default are two strategies we employ to defend against foreclosure. Want to know more about short sales and strategic defaults? For more information on probate, guardianships, estate planning and more, visit our other site, tomdwaldron.com. Just click the button located below! Lawyers Real Estate, P.A. is a private law firm that allows the citizens of Florida to return to a time in our country’s history when all real estate matters were handled by those who were the most highly educated, most experienced and best qualified to handle the job — attorneys. If you are thinking about selling your home, hiring a lawyer is the best way to protect your interests. Unlike a broker, your lawyer will never make you sign away your rights. 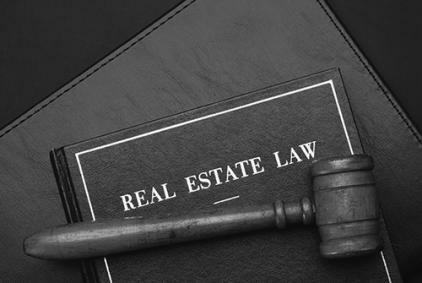 Florida real estate law encompasses a number of state statutes that can often be complicated and intimidating for many looking to sell their home. As a Florida real estate attorneys, we help explain laws and regulations that impact residential or commercial real estate. Lawyers Real Estate, P.A., combines the work of a team of experienced lawyers. We serve the legal needs of people throughout Florida in areas of law including real estate, estate planning and probate.